UPDATE: Crews have contained the fire as of 3:00 p.m., according to the New Jersey Forest Fire Service. 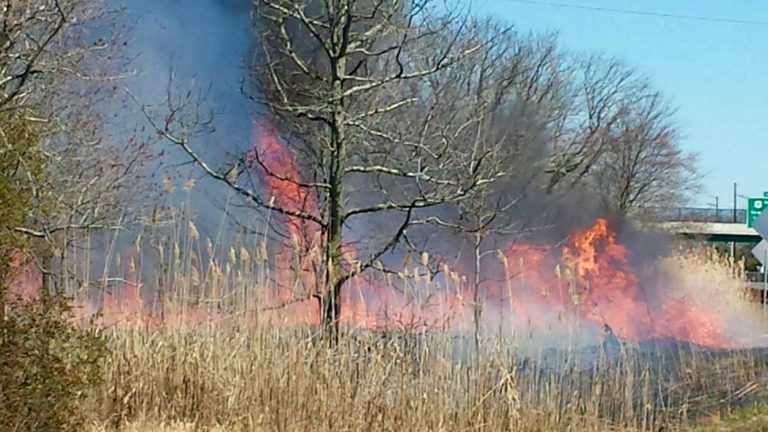 Firefighters are battling a large brush fire this afternoon in Port Republic. The fire is within a large marsh near the Garden State Parkway southbound lanes, according to the New Jersey Forest Fire Service. The service did have information about the fire’s size as of 1 p.m. An update shortly before 3:00 p.m. stated that the fire involved 20-plus acres. In addition to ground crews, two air tankers are dropping water on the fire. The right lane and exit ramp at Exit 48 are closed due to the fire, according to 511nj.org.